Last night (21 February, 2017), the audience attending one of King’s College Cambridge’s Chapel Lates concerts were treated to a rather unusual rendition of Chopin’s Nocturnes. The performance featured 21 local pianists from Cambridge University and the Peterborough and Saffron Walden Centres for Young Musicians. They simultaneously performed the Nocturnes on 21 upright pianos. These instruments were donated by local music store Millers Music, in celebration of their 160-year anniversary. They were carefully arranged in a large circle in the centre of the Chapel. The resulting sound, taking advantage of the unique acoustics, were described as “amazing”, “ethereal”, and “awe inspiring”. 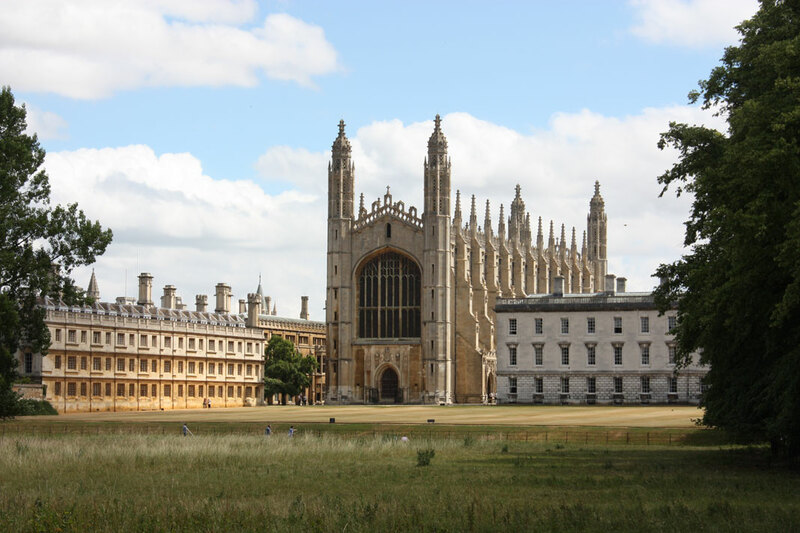 Richard Causton, a composer and Kings College Fellow in Music, is curator of the Chapel Lates concerts. 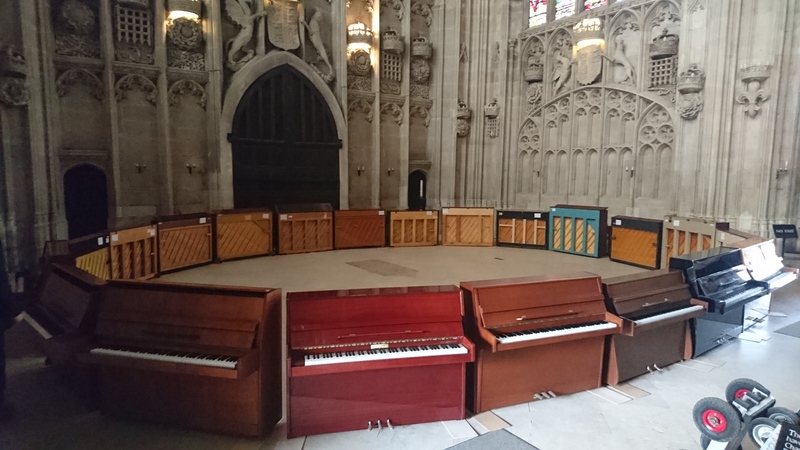 He said, beforehand, “This is a unique event for King’s College Chapel and the sound and sight of the 21 pianos in this wonderful space promises to be really memorable”. His comments proved to be very true. Not only did Millers Music supply the pianos, but now the concert is over they are donating all 21 to schools and institutions across East Anglia. Interested parties should apply via the Miller’s Music website, with Richard Causton and Millers Music’s managing director, Simon Pollard, judging the applications after the closing date of 12 March, 2017. Millers Music is thought to be the second oldest music shop in the UK. The family business was originally that of selling hats and bonnets. In 1856, however, hard times forced the sale of the Miller family’s grand piano to save the shop from bankruptcy. The sale was very successful. So much so that the family purchased further pianos to sell in their shop. From these humble beginnings the current musical instrument business has grown.